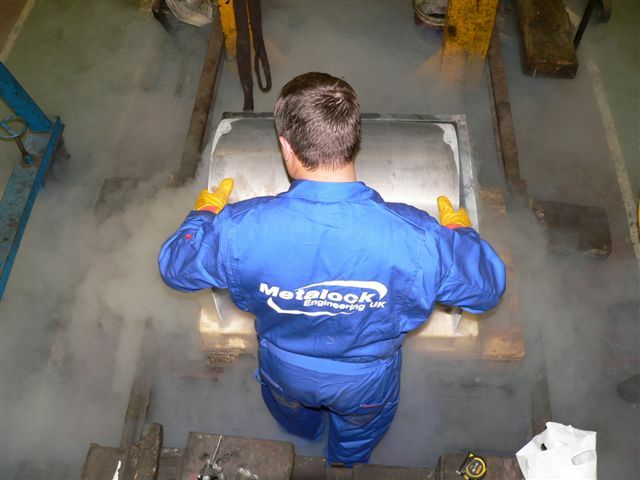 On the 17th May, Metalock contractors successfully fitted the liner into the K1's repaired right hand cylinder at Hopetown. 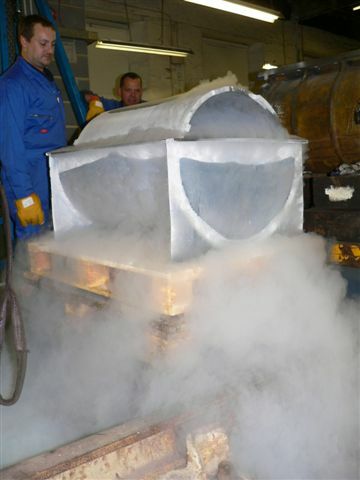 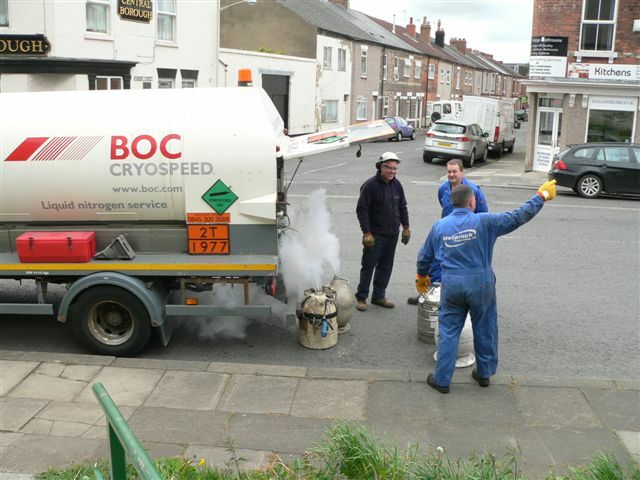 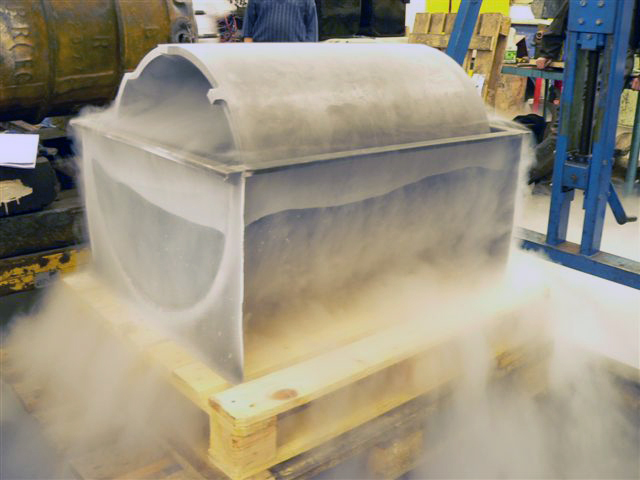 The fitting process involves cooling the new liner in a bath of liquid nitrogen to cause it to contract. 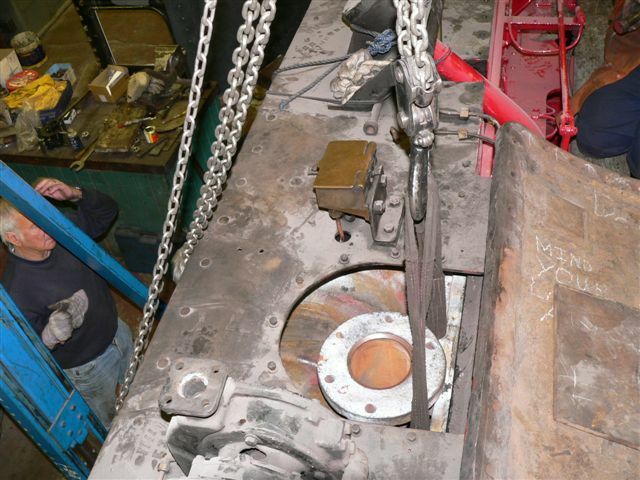 It is then placed upon the support frame which is usually used to extract the piston and pushed into the cylinder bore.The liner is then adjusted so that the port cutouts line up. 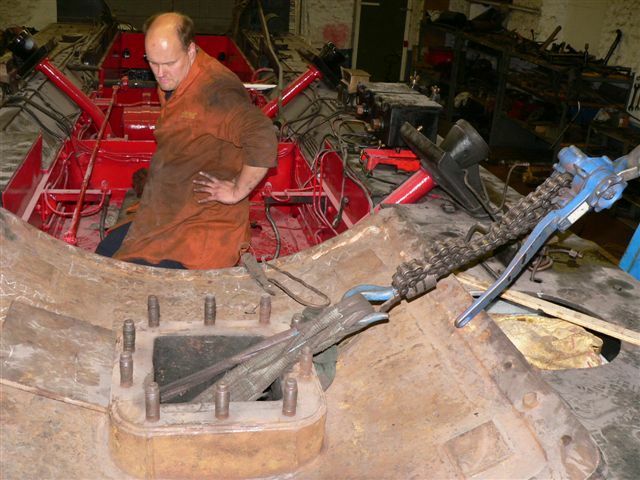 As the liner warms it expands to fit tight against the cylinder walls. 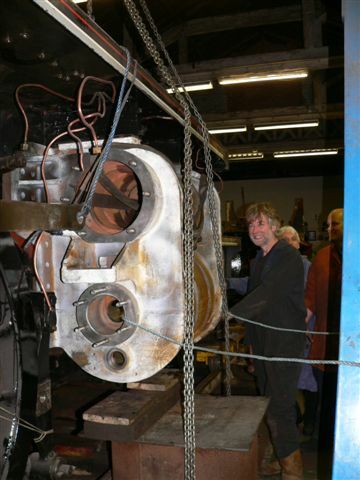 As usual on such occasions, the job is surounded by an army of photographers. 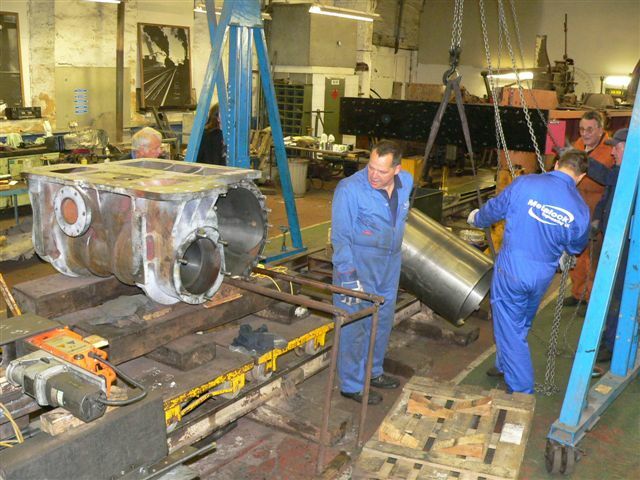 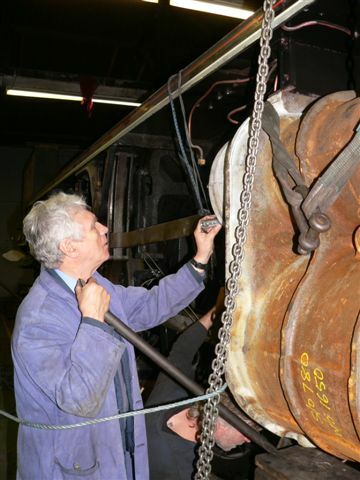 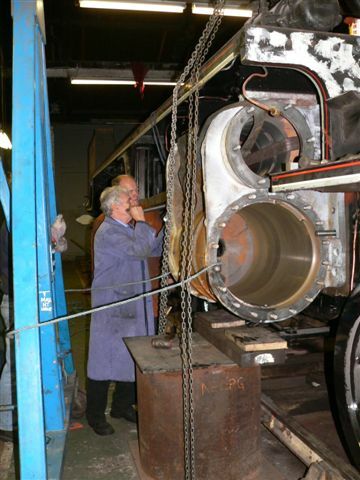 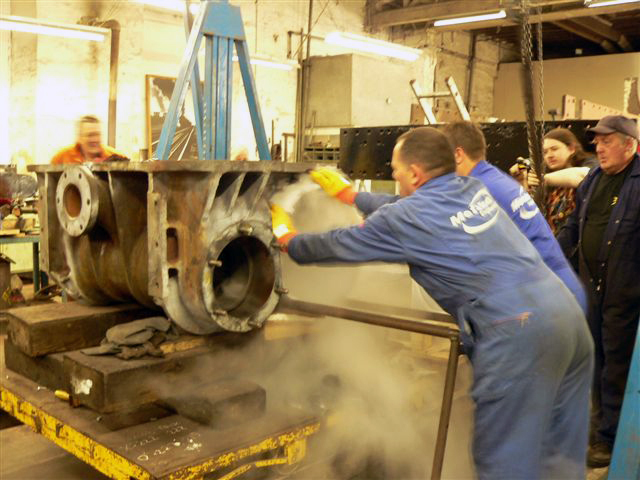 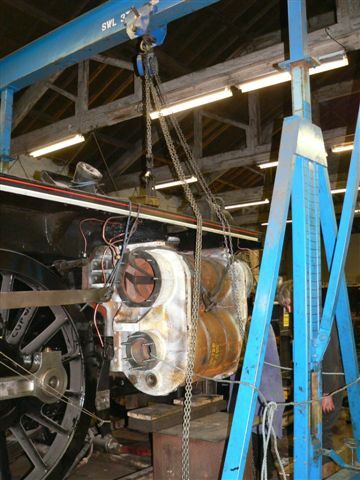 On Tuesday 24th May, a working party lifted the cylinder onto the frames. 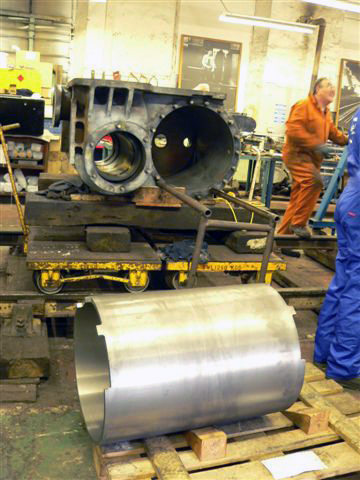 The cylinder is not completely fixed and might yet have to be jigged around a little to get all holes lined up. 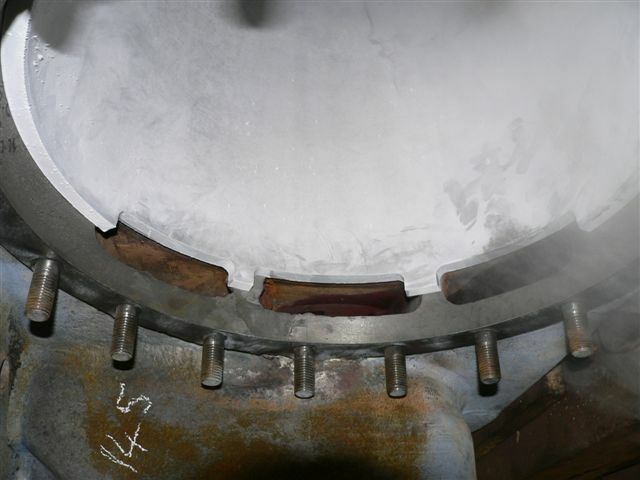 With all the heat applied to the casting in the repair process, the holes have moved a little. 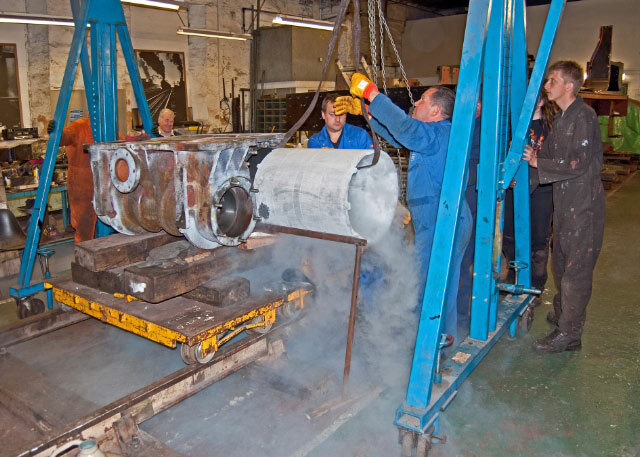 However, a good start has been made on the final major job on the frames.